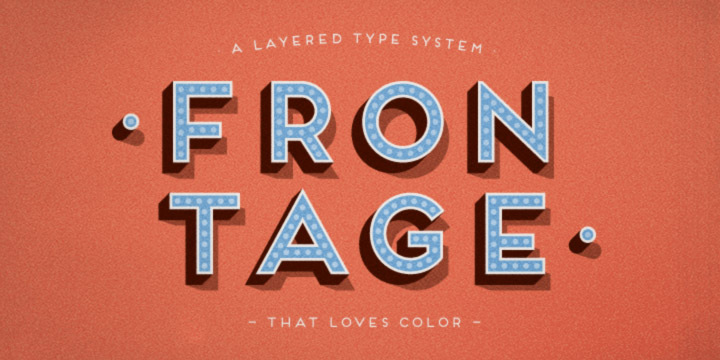 Frontage is a charismatic encrusted type system. It promises endless design possibilities with the use of many different combinations of colors and fonts. You can even achieve a realistic three dimensional effect via adding the shadow font. To come up with some fabulous artwork, you can use the capital letters. The actual design of this typeface is based on a straightforward grid. This helps in creating amicable, handcrafted look of cover-up signs. Created by Juri Zaech, this is an impressive typeface.